When it comes to automobiles, the world has come to an advanced stage. It is one of the perks of living in a modern world that you get a constant upgradation. These upgradations are shown in various exhibitions around the world. Many countries host motor shows in which new launches, as well as future concepts of any particular automobile manufacturing company, is showcased. Future concepts specifically earn appraisals from the visitors. A model of the concept is also presented in the exhibition making it more interesting. These concepts are then utilized for producing vehicles which are then further presented in next year’s exhibition. Like the rest of the world, India is also known for organizing a motor vehicle exhibition which invites various automobile manufacturers from different countries to present their ideas to the people. The exhibition is named as Auto Expo. It is one of the most attended as well as reputed motor shows around the globe. It is ranked in the top 7 motor exhibitions in the entire world. Countries like Japan, Germany, Sweden, France, United Kingdom and United States of America participate in the exhibition. When it comes to companies, big names like Mercedes, BMW, Honda, Hyundai, Tata and various others showcase their potential projects in the exhibition. This year, Auto Expo was held in New Delhi, from 7th of February to 14th of February. Like every Auto Expo since 1986, when the first one was organized, we got to see different new launches as well as concepts. The new launches dazzled the exhibition while the new concepts gave us a look at the future projects of different companies. Many manufacturers presented a model of their new concepts. These models attracted the visitors who were amazed by the new concept of different companies. This generated a buzz around the exhibition and people await their launch. The streets were filled with the talks about Maruti Suzuki’s new concept model for quite a while now. It was show time for the manufacturers and they used this platform particularly well to present their new concept. The new concept was named Maruti Suzuki Concept Future S which is likely to go into production next year. According to sources, the company had planned to manufacture the concept to compete with the likes of Renault Kwid. The interesting part of the new concept is that it is totally designed in India. When it was unveiled in Auto Expo 2018, Maruti Suzuki Concept Future S astonished viewers with its modern design. It can be categorized as micro-SUV which is getting popular in the urban areas. It is believed that urban buyers are being targeted with this model of the car. The sleek design of headlamps and tail lights gives the concept a very aggressive and bold look. The ground clearance is high compared to other micro-SUVs. The model which was unveiled in the exhibition was a bright orange coloured with pearl white accent pieces. The concept is likely to be on road by next year. When it comes to new concept, Tata motors aren’t far behind. Even in Auto Expo 2018, Tata Motors did not miss the opportunity to present their new concept vehicle. It was the centre of attraction for many viewers in the exhibition because it was kept in a glass box. With its modern design and stylish look, the concept named Tata 45x is certainly the one to look for in the future. Its jaw-dropping appeal gathered the crowd around the area where it was presented. It is certainly one of the well-designed cars in the exhibition. What is interesting about 45x is the bold and sharp design elements which give the concept a refreshing appearance every time you look at it. One cannot deny the fact that it would be one of the most popular cars in the coming future. Talking about design, the new concept of Tata motors is a hatchback which is influenced by European-type designing. It would not be wrong to say that it resembles Land Rover from the back. It is built on the new AMP platform of Tata Motors. The sporty look given to it was a hot topic during the exhibition. 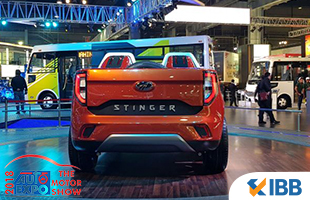 This year’s Auto Expo was filled with new concepts as Mahindra also presented its TUV Stinger Convertible SUV concept. Mahindra pounced upon the opportunity and presented its bold and unique concept of a convertible. It was highly appreciated by the viewers and the experts. The model is based upon Mahindra TUV300 which has already been launched earlier. Adding the convertible concept was to attract the younger generation across the country. You can clearly conclude it with the fact that their motto was “Live Young Live free”. Anyways, the concept model is certainly much talked about. When it comes to design and appearance, the convertible is muscular in looks and appears rugged. It has a chrome grille in the front which is large in size. Along with the grille, you would see the company’s logo. The well-built design of the vehicle is one of the USPs. Apart from the LED headlamps, the vehicle also has LED tail lights which are equally well-designed. If you talk about the mechanical aspect of the vehicle, it comes with 2.2-litre mHawk engine which has already proven its worth in the field of automobiles. It has a peak torque of 320 Nm. Auto Expo 2018 was generally competitive in nature like every year. Many different companies presented varied range of concepts to compete against each other in the ever-growing market. In this eternal race, Kia also showcased its new concept which was entitled to compete with Hyundai Creta in the market. The SUV concept of a fairly newcomer Kia was named Kia SP SUV concept. It is expected to go into productions by the end of the next year. In 2020, it is expected to be on the roads. Talking about the concept, SP concept has a sleek design and appealing looks. Talking about the design, the new SP concept would resemble Hyundai Creta from its back. You would witness a familiar grille style in the front side of the vehicle. Overall you can say that it has an aggressive appearance, which is seen in most of the SUVs. The headlamps are slimmer at the edges which gives it a unique look. They also have illumination lights, right at the bottom. When it comes to the engine, it runs on a 1.6 litre diesel engine in its heart. The concept model was bright orange in color. As every company was trying to prove its worth in terms of concepts, Renault also emphasized on the same fact. It is one of the perks of attending Auto Expo 2018 that you see different companies with great ambitions for the upcoming future. Renault also worked on its concept and came out with its venture which is named, ‘The Concept’. It would not be wrong to say that The Concept of Renault was perhaps the most ambitious ventures to feature in the Auto Expo 2018. As ambitious as it was, The Concept has certainly got people talking about it. One of the most interesting aspects of The Concept is the fact that it has been designed in India. With this model, the manufacturing company promotes indigenous made cars. The fact that it is the first concept by Renault where a home-based car is being presented emphasizes the similar fact. The Concept by Renault is a larger hatchback compared to its earlier launch Kwid. It opens from the top and the colour of the model was certainly appealing. The unique style of lighting gives the concept a futuristic look. It is believed that Renault would work on the launch. It could be on the roads in near future. The automobile companies have understood the requirements of near future. As India has clearly stated that it would go electric by the year 2030, most of the automobile companies have adapted to the similar foundation. Mercedes Benz is one of the bigger names in the list to work on the principles of electric car concepts. The EQ concept by Mercedes was featured in Auto Expo 2018. It is to be noted that this concept had its launch in Frankfurt motor show last year. Judging the needs of upcoming generations, the German car manufacturing company has lined up with 10 different models of Electric cars. They’re all set to be launched by 2022.  These cars can be categorized in SUVs, hatchbacks as well as sedans. The sudden surge in the significance of electric cars shows that the world is moving towards the next stage of automobile manufacturing. Based on Electric vehicle architecture, Mercedes Benz showcased its EQ concept in the Auto Expo 2018. It would contain a battery of 400 kg which would be able to supply electrons to a 200 kW rear-mounted engine. As mentioned earlier, it is clear that India is heading towards a new future of cars which would run on electricity rather than petroleum or diesel. Keeping that in mind, Mahindra also planned an electric-run concept vehicle which was presented at this year’s Auto Expo. Like many bigger names in the exhibition, Mahindra depicted a futuristic vehicle which would run on electricity and to be launched soon. It is expected that by the year 2030, India would have more cars running on electricity compared to the cars running on petrol and diesel. The concept of Mahindra’s electric venture is named eKUV100. As the name suggests, the model is similar to KUV100 but it runs on electricity. It is set to hit the road by the end of next year. It was one of the most well-crafted concept cars of Auto Expo 2018. As the manufacturing company belongs to India, it was praised for its awareness of the future requirements. The price of the concept is set around INR 9 Lakhs. It can be charged within one and a half hour, with fast charging capability. The model of the car was same in design as KUV100. With these cars being mentioned, it is quite amazing to see different companies coming up with new concepts every year around the globe. It is definitely astonishing how bigger names from the manufacturing world come together under one roof with their new projects and present it to the people. When we talk about the future, it is certainly tough to imagine what is going to happen. When it comes to world of automobiles, one can generally assume with all these concepts that are mentioned above. These new concepts pave a definite path on which other companies walk to bring new vehicles for the people. Talking about the future, it is also satisfying to know that the automobile companies are aware of the requirements in the upcoming future. One could have hardly imagined electric running car two decades ago and now the companies plan to bring on electric cars as they are the future. Electric cars by Mercedes, Mahindra, Renault and other companies have certain significance. As you are aware of the rising pollution in the world, electric cars would be a much better option to tackle it. The fact that automobile companies are contributing to the cause makes it even more interesting. Apart from different concepts, one has to give credits to a platform like Auto Expo 2018. The exhibition puts up the perspective of where the world is leading to in terms of automobiles. Like different automobile exhibition around the globe, Auto Expo 2018 provided opportunities to different manufacturers to present their ideas and let the people know what lies ahead in the near future. One can also state that this exhibition is necessary to spread awareness about the needs of electric vehicles that were shown through different concepts. By all means, Auto Expo 2018 was a great success.